Ischemic Cardiomyopathy occurs when the heart is no longer able to pump blood due to weakening of the left ventricle. This is mainly brought about by coronary artery disease which is the hardening of arteries caused by plaque. 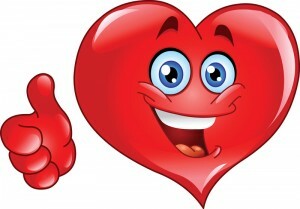 The arteries are responsible with transporting oxygen and blood to the heart. When these arteries become too narrow, the heart does not function as it should and it becomes very hard for the heart to pump blood to the rest of the body. 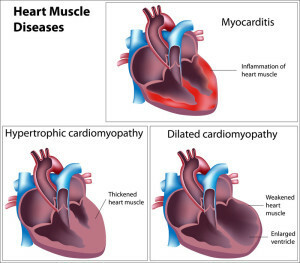 This is the major cause of heart failure and you will find that patients suffering from Ischemic Cardiomyopathy have had a previous history of chest pain or angina and heart attacks as well. Like we just mentioned, angina and heart attacks are common with this condition and they are a major symptom. However, there are many cases of patients who seemed to be in perfect health and their symptoms were mostly misdiagnosed. Heart failure progresses gradually and some of the symptoms you might want to be wary of include: shortness of breath when lying down or with activity, irregular pulse and palpitations, coughing, fatigue and faintness, abdominal swelling in adults, feet and ankle swelling in adults and waking up due to shortness of breath. Diagnosis of Ischemic Cardiomyopathy begins with a medical history and physical exams. Depending on the symptoms, various tests may be conducted and these include ECG known in full as electrocardiogram. An echocardiogram could also be administered along with cardiac catheterization and imaging scans such as chest x-ray, MRI and CT scan. Other tests include radionuclide studies, exercise stress exam and in certain occasions, the doctor may recommend a myocardial biopsy to be performed. This helps to determine the root cause of the condition and small samples are sourced from the heart for microscopic examination. Ischemic Cardiomyopathy is treated to improve cardiac function and reduce the symptoms of heart failure. In other words, treatment is mainly to manage the condition and prevent progression. Lifestyle changes are an important part of treatment. The patient will have to follow a low sodium diet and include exercise into his or her life. Certain medications may be prescribed and these mainly control the heart’s function. Blood thinners may also be recommended to prevent the development of a clot. Implantable devices can be recommended to lower the risk of a heart attack and these devices mainly monitor and regulate heart rhythm. Interventional and surgical procedures may be a necessity in dire cases and these include bypass surgery, heart transplant and surgical restoration of the left ventricle. Besides the above treatments, you might also want to try out stem cell therapy. Various studies are being conducted with the aim of finding a viable treatment for Ischemic Cardiomyopathy using stem cell therapy. One study conducted by Miller School’s Interdisciplinary Stem Cell Institute showed that stem cells can indeed treat patients with hearts that may have been scarred or damaged due to heart attacks. Stem cell therapy has proven to be effective in treating various conditions and this regenerative therapy is promising to deliver brilliant results in treating Ischemic Cardiomyopathy. Request an Appointment today with R3 Stem Cell for Stem Cell Therapy for Ischemic Cardiomyopathy!